Noel serves AO in North America. He and his wife, Marnie, have lived in Thailand, Cambodia and Hong Kong. They have worked with AO in various capacities since 1990. Noel and Marnie have two grown children, Holt and Hartley. 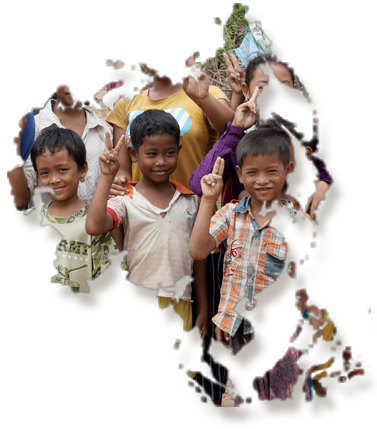 Their passion is to continue to see transformation in communities across Asia. David is the development expert and a passionate advocate for Cambodia and Mongolia. He brings a wealth of experience in development and social justice. He is a gifted networker. He and his wife Elizabeth have two kids, Spencer and Victoria. Matthew is our resident financial expert. He brings vast experience and a strong passion for our mission to every aspect of his job. Marnie is married to Noel, is passionate about women and children at risk. She has been working alongside our AO team in Cambodia helping at risk kids find the opportunity for an education and future. Marnie assists with foundation research and donor management.